The 1946 Rolls-Royce Silver Wraith was a direct continuation of the pre-war Wraith, and the model carried the most elegant custom bodies clear through 1959. 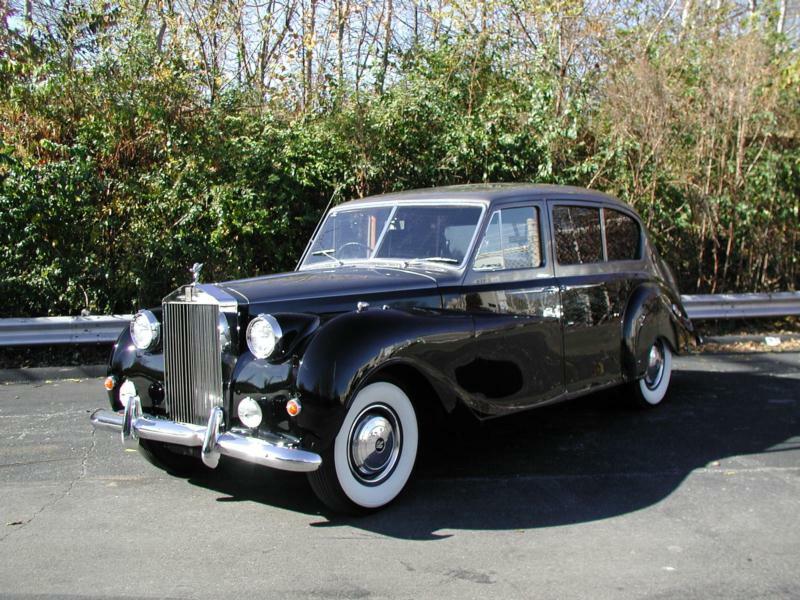 Few cars of the immediate post-war period have such comfortable touring capability, and these large sedans and limousines remain favorites with Rolls-Royce enthusiasts who enjoy long-distance travel. The Silver Wraith’s six-cylinder engine was the same size as the pre-war car, with 125 hp from 4,257 cc, but the design was new. The engine block was now one-piece, with an F-head configuration. Overhead inlet and side exhaust valves permitted larger sizes, and eventually the displacement was increased. The chassis was new, too, but similar to the pre-war frame, and the Silver Wraith had independent front suspension by coil and wishbone, with leaf springs at the rear, and a live axle. The four-wheel hydraulic jacks built into the pre-war Wraiths and Phantom IIIs were eliminated on the post-war Wraith, and the wire wheels (usually covered) were replaced by discs. Four-wheel adjustable shock absorbers were reduced to two, at the rear, and front shocks were now conventional. Early post-war cars had divided bonnet sides, which became one-piece in 1947. The cooling system used four gallons of water, and the Wraith and its Phantom stablemate were the only post-war cars to have thermostatically controlled radiator shutters, as used in pre-war years. During its 13-year production run, the Silver Wraith was fitted with widely different coachwork styles. They varied from compact coupes and convertibles to enormous limousines and stately landaulettes. A bare rolling chassis cost approximately $9,000, and bodies were built exclusively by such coachbuilders as Hooper, James Young, H.J. Mulliner, Park Ward, Gurney-Nuttinmg, and Freestone & Webb. However there were some daring one-offs by European coachbuilders like Pinin Farina, Chapron, Franay, Saoutchik, and Vignale. In all 1,783 Silver Wraiths were built between 1946 and 1959, with 1,144 short-wheelbase cars and 639 long-wheelbase models. The Silver Wraith was modernized throughout its production, with an automatic transmission option in 1952, and power steering in 1956. The GM four-speed Hydra-Matic was standardized in 1954. The engine was bored out to 4,566 cc in 1951 and 4,887 cc in 1954, when it generated 178 hp, necessitated by the model’s increase in weight. 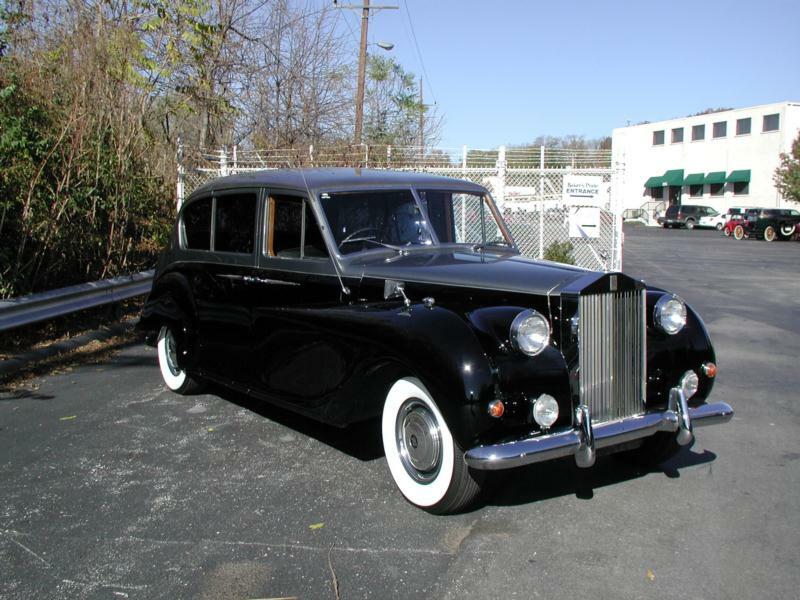 The success of Rolls-Royce’s “factory built” 1949 Silver Dawn and 1955 Silver Cloud increased the company’s profit margins enormously, and when the Silver Wraith ceased production, it signaled the end of the coachbuilding industry. The surviving companies merged, but the unibody Silver Shadow of 1966 was really the final blow, and few coach-built cars were created after the 1970s. Numerous large Silver Wraith touring sedans survive, and currently only the convertibles and exotic bodywork styles command six-figure prices. Expect full records and a clear ownership trail, as Rolls-Royce records are admirably complete. A pre-purchase inspection by a qualified mechanic is essential, as these cars, though durable, are expensive to repair. Try to buy a left-hand drive car which has spent its life in the hands of sympathetic, wealthy owners, and beware wedding service vehicles.